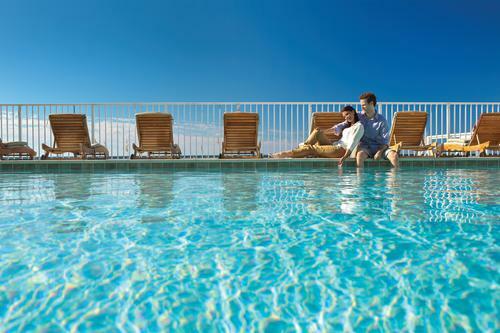 Romance, relaxation and fun are waiting for you all around Panama City Beach. We have luxury spas, world-class golf, amazing resorts, award-winning restaurants and enough live music for you to dance the night away. You have a love like no other, so why should your vacation be ordinary? Panama City Beach is the perfect place to celebrate your anniversary or take a romantic weekend getaway. The beautiful beaches are perfect for relaxing and reconnecting. Lay out together under an umbrella to soak up the Florida sun, or go for a walk along the pristine, white sand at sunset. If you’re in the mood to be more active, stop by Barley’s Bike Rental. Bond with a bike ride along the beach and explore the beauty of Panama City Beach’s coastal paths and trails. At the end of an action-packed day, why not relax on a sunset cruise? Island Time Sailing Cruises will take you through the Grand Lagoon past the marinas, state parks and stately beachside homes. After that, you sail right into the open waters of the Gulf of Mexico where you can get a 365 degree view of the stellar Florida sunset. Nothing says romantic getaway like a luxurious spa treatment. Book a couple’s massage at Serenity Spa at Sheraton Bay Point Resort for the ultimate relaxation experience. Do you need to do some skin and nails prep before you bare it all at the beach? Get an exfoliating sugar scrub for glowing, beach-ready skin and treat yourself to a pedicure, so you can rock those sandals and open toe shoes. In Panama City Beach, you can choose accommodations to fit your style. If a luxury resort with breathtaking beach views sounds like heaven, book a room at Carillon Beach Resort Inn, one of Panama City Beach’s most popular hotels. With jacuzzi suites, a Gulf-front, four pools, two tennis courts and room service, this world-class resort is perfect for couples who are looking for the relaxation vacation. You can also choose from a variety of private homes and condos to rent for a more “home sweet home” vibe. Whether you are a celebrating several years of wedded bliss or you are taking your first trip as a couple, Panama City Beach is the place for a romantic dinner. For pure indulgence, make a reservation at Firefly, named “Most Romantic Restaurant 2017” by OpenTable. The award-winning cuisine and magical, mediterranean bistro atmosphere, will whisk your lover right off their feet. 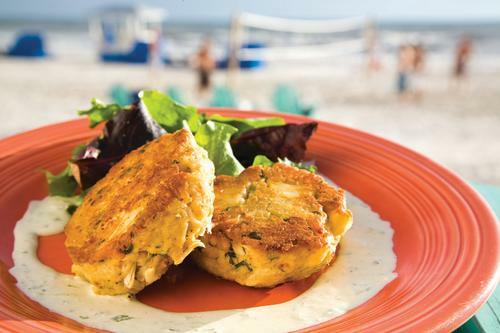 Or, for a more casual dining experience, head over to Runaway Island Beach Bar and Grill. Sit outside on the deck and take in the breathtaking views of the gulf while enjoying catch-of-the-day seafood and cool, refreshing cocktails. With your one and only by your side, how could life get any better? If you both like to move and groove, go dancing at one of Panama City Beach’s many nightclubs and live music venues. If Waylon Jennings and Patsy Cline are on your playlist, Tootsie’s Orchid Lounge is the place to do some serious two-steppin.’ If you like your nightlife a little more interactive, you have to try Spinnaker Beach Club with Dueling Piano Shows every Friday and Saturday! If you prefer a more low-key experience, try Sharky’s, where you can sip on signature cocktails and enjoy live music. At the Real FUN beach, every memorable moment is an invitation to make it yours.